Use the call data to improve your call center performance. such as wait times, average call duration, missed calls, and overall call volume. Monitor activity on your phone numbers and make sure incoming calls are being answered in good time. Track marketing campaigns and easily see how different ads are performing. Sort by phone numbers and dates, and track how your activity has grown overtime. See your most active agents and their call volume. Who can see call analytics? Only administrators can see call analytics. Employees with a standard user login will have a separate view containing their own recent activity of call, voicemail, and text messages. Is there call data displayed in real-time? Yes. You can access Telzio's Live Reports to see call activity in real time. 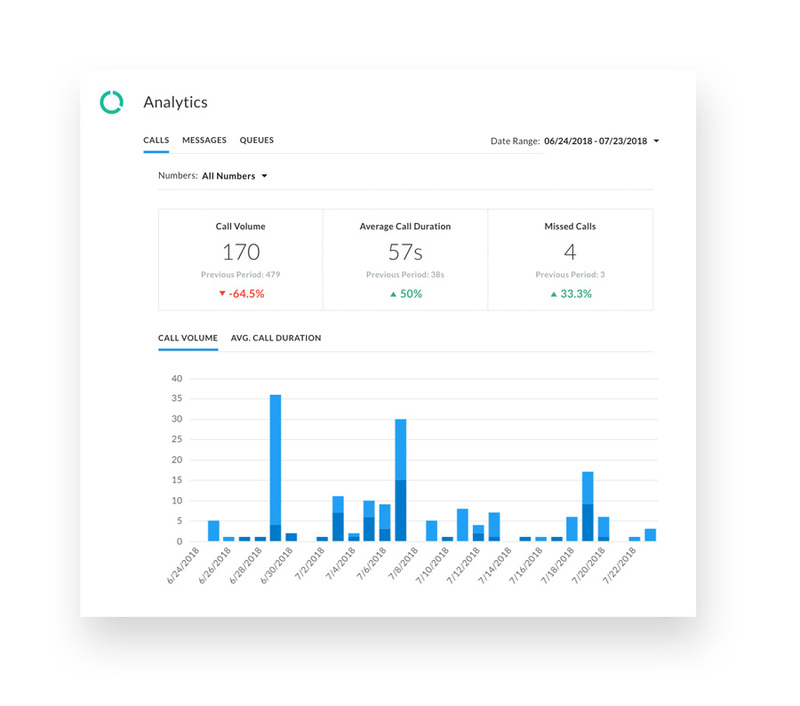 Call analytics gives you an overview snapshot of activity within a given period, whereas Live Reports show you live call activity.